ok guys, I want opinions on this build. I want to do this fine tune plumbing (not much more to do) then get plant life in there then get corals in, inverts next and then fish. Question one, is this an advisable sequence of events? Question two, what in your opinion, is the timeline for doing each sequence? 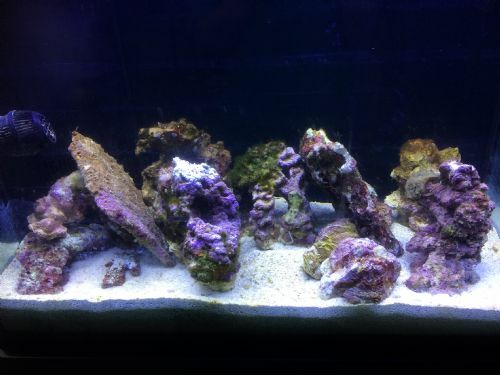 Are you moving LR, LS and Macroalgae to this tank from your other tank? If so, Bob Carlsen told how he does it in about a couple days. That's copied from the Reefkeeping Tips for everyone to access. I do the same thing to set up new tanks when using all live stuff, but if just a portion of it is live stuff and the other portion is new stuff, it can still be done in a week. It's written up in the thread linked below in my signature line. My next question is this. My sand bed is new, but my rocks are live. The algae on my rocks are going strong. 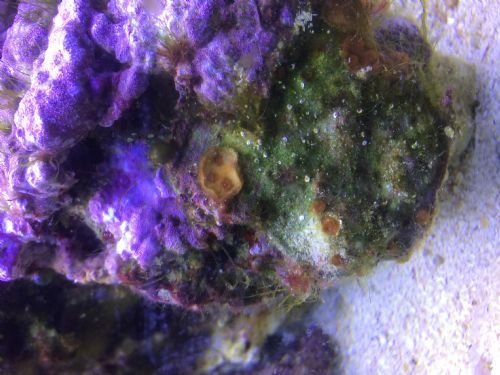 Now I've seen 3 tiny bits of corals just plugging along; one is a pom pom, one is a orange zoa and the last is a small piece of almost bleached out meteorite but it hasn't bleached out completely and hasn't changed in color since. So my question is, do you think it's safe for me to put plant life into this system based off of what I just said. I'll take photos and post them soon. Here are a few shots of the coral and algae and a full shot of the LR on the sand. Yes, but waiting is always better. Agreed, Iâ€™m just trying to figure out the time line of things so I can get stuff ordered and in when itâ€™s ready. Holy cow! Iâ€™ve got algae EVERYWHERE. Including bryopsis... and bugs. I really want to put plant life in there to compete with the algae. 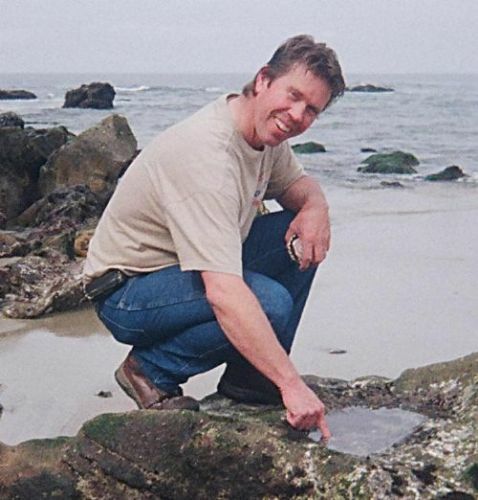 I assume you are speaking of Macroalgae, and yet I'm surprised that you ask the question. The algae I see in the pics can certainly become a nuisance, yet even hair algae is not "unsafe". Algae and plants are the key to all life on earth. They clean the water. They clean the air. They make it possible for animals to live. As you know, coral are animals, so without algae, coral could not live. 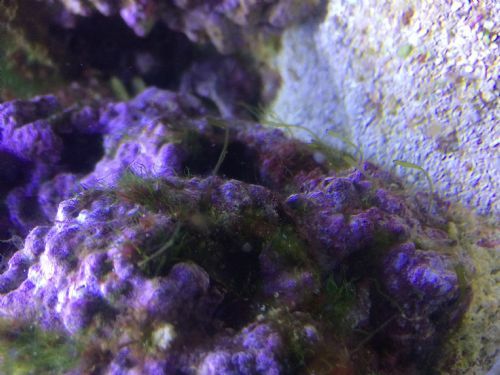 Almost any time is a fine time to add Macroalgae to a reef aquarium system, especially in startup, but that by itself will not always stop the growth of nuisance hair algae. For the hair algae like I see in those pics to be controlled, two things are needed, 1) herbivores to eat it and 2) PO4 removal media to take away one of it's prime nutrients. I was just thinking this morning of harvesting some of the clean and beautiful Feather Caulerpa from one tank in my system. I'm not sure whether it's C. mexicana or C. taxifolia, they both look the same to me. 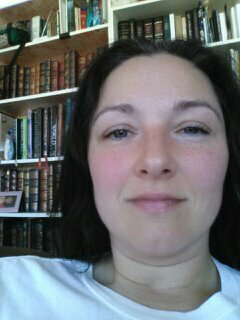 I was going to take a pic and post it here in the forum as being available. There are two other types of Caulerpa in my system, but recently it's the Feather Caulerpa that has grown fast enough to harvest. It's so prolific right now that soft surface algae growth is stunted. The Lawnmower Blenny isn't getting enough to eat. I also have available the best PO4 removal media ever. It is what I use in all my tanks to control algae growth. 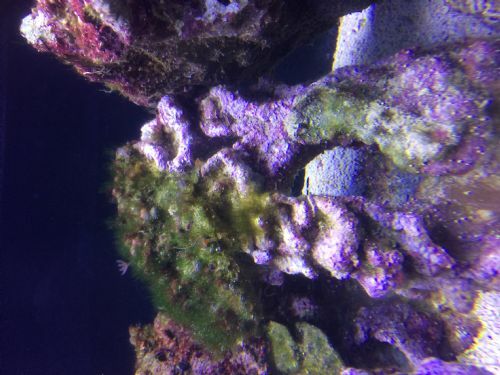 Also, check with Rustys Reefs and The Fish Tank for lots of Snails and a few Hermits at good prices to mow down that hair algae. P.S. In my experience Mangroves are wonderful, if kept in an environment of +70% humidity, but in our dry Utah, where humidity is usually 20-40%, Mangroves don't do well unless they can be grown in a humid enclosure. since you don't have much (if any) coral in there right now, just turn the lights out for a few days and do a large water change to get rid of the stuff that dies off. Run a bit of phosphate remover and carbon and it should disappear. Do a couple more water changes after to keep up with it so it doesn't wanna come back.